The guys go to a party and Jemaine falls for Sally. They begin a whirlwind romance after the guys sing "The Most Beautiful Girl in the Room." 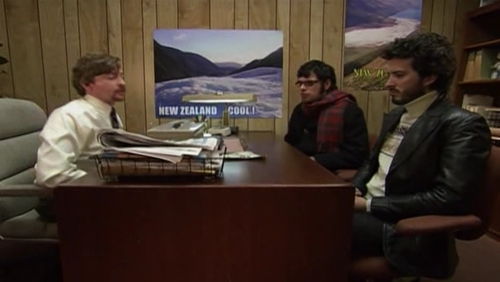 The episode also shows the Musica video for their song "The Human's Are Dead"
How much money did Bret and Jemaine receive out of the box at the secondo band meeting?